PORTLAND, Maine -- The Eastern League of Professional Baseball is pleased to announce that New Hampshire Fisher Cats manager John Schneider has been selected as the 2018 Eastern League Manager of the Year. Schneider has led the Fisher Cats to a 75-60 record this season while helping the team clinch its first postseason berth since the 2011 season. The Fisher Cats are currently tied with Trenton for first place in the Eastern Division standings. John is joined on his coaching staff in New Hampshire this season by hitting coach Hunter Mense, pitching coach Vince Horsman, position player coach Andy Fermin, athletic trainer Drew MacDonald, and strength and conditioning coach Ryan Maedel. The 2018 season is Schneider's first as the manager in New Hampshire, and the 10th season of his managerial career. 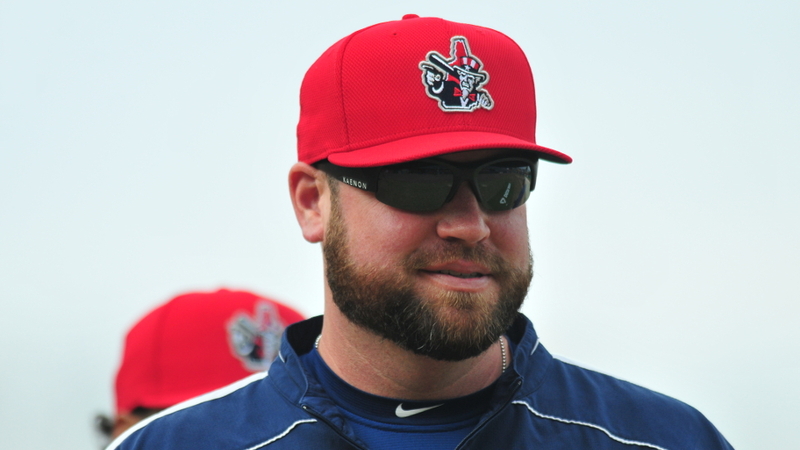 John, who turned 38 prior to the start of the season, is the youngest manager in Fisher Cats history. He is also the first former player to manage the team, as he played a total of 62 games with New Hampshire during the 2006 and 2007 seasons. During his managerial career, John has spent time with the Gulf Coast League Blue Jays (2009-10, 2012-13), the Vancouver Canadians (2011, 2014-15) of the Northwest League, the Lansing Lugnuts (2016) of the Midwest League, and the Dunedin Blue Jays (2017) of the Florida State League. He led Dunedin to their first championship in franchise history last year and also won the championship with Vancouver in 2011. As a player, Schneider was selected by the Toronto Blue Jays in the 13th round of the 2002 Draft out of the University of Delaware. John spent six seasons in the Toronto organization as a player, reaching as high as the Triple-A level before retiring at the end of the 2007 season. After retiring as a player he became a catching instructor. Altoona manager Michael Ryan finished second in the voting for the Manager of the Year Award and Akron's Tony Mansolino finished in third place in the voting. This award was voted on by Eastern League managers and coaches and members of the media.